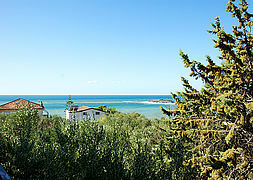 In a cul-de-sac and only a stone’s throw from the sea lies Family Greco’s holiday apartment Villa Rita. It is an easy, only about 100 m walk to picturesque sandy Calanca beach bay, which, from your apartment, is always within your view. After a short walk (ca. 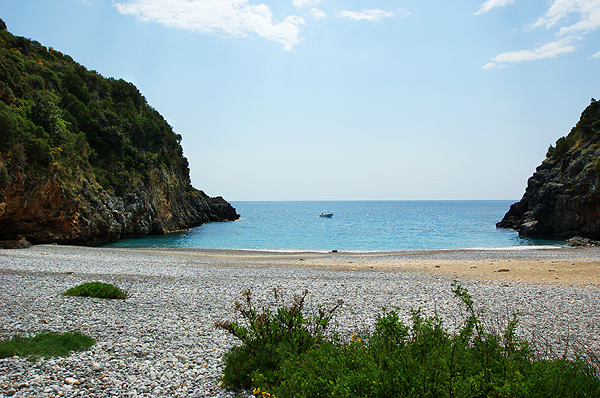 200 m) you also come across the first bars, restaurants and (grocery) stores in Marina di Camerota’s centro storico. A stroll through small alleys takes you to wonderful Piazza San Domenico, the heart of the beautiful fishing village. 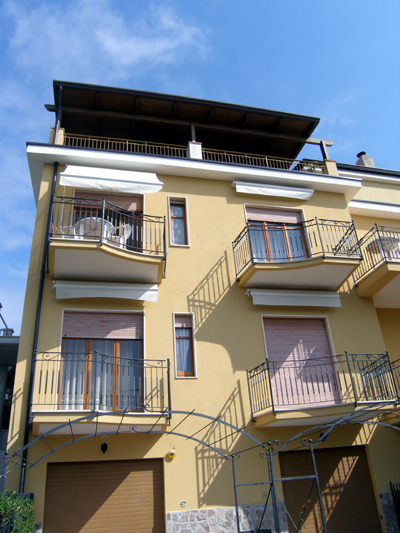 Your holiday apartment, which is located on the second floor of the house, includes altogether three balconies. 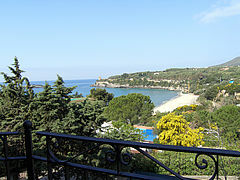 Two of the balconies face the sea; the third balcony, entwined by a violet bougainvillea, lies a bit apart in front of the apartment door to the right. You enter Villa Rita into the bright live-and-eat-in kitchen, which is furnished with a built-in kitchen, dining furniture, a sofa bed for 2 (3rd/4th person), TV and air conditioning. The kitchen includes gas stove, oven and refrigerator. 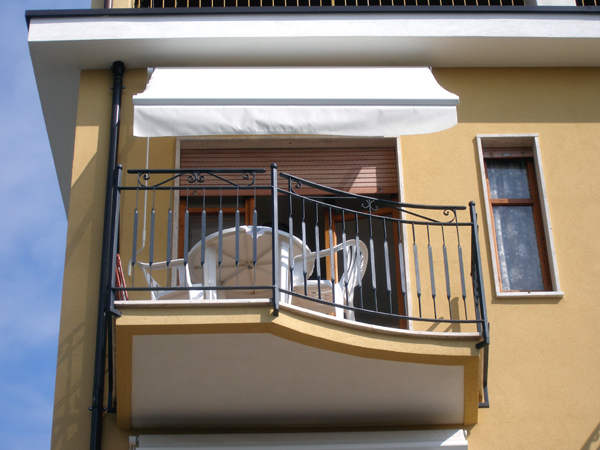 One of the two sea view balconies is accessible from the live-and-eat-in kitchen, is furnished with a table and chairs and can be shaded by an awning. 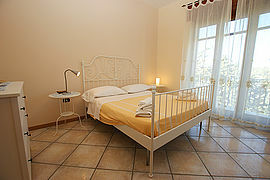 The cozy bedroom of Villa Rita is furnished with a double bed, a chest of drawers and a wardrobe. The bedroom opens upon a balcony, from which you have got a wonderful view of the sea. The bathroom with shower cabin, WC, bidet and hair dryer is found between the live-and-eat-in kitchen and the bedroom. There is a washing machine for shared use in the house. 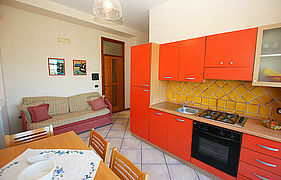 Villa Rita features central heating and free WLAN. Should you arrive by (rental) car, you can park it in front of the house along the road. As Villa Rita is found in convenient and central location and you do not necessarily need a car onsite, it is also an ideal accommodation for rail travelers. 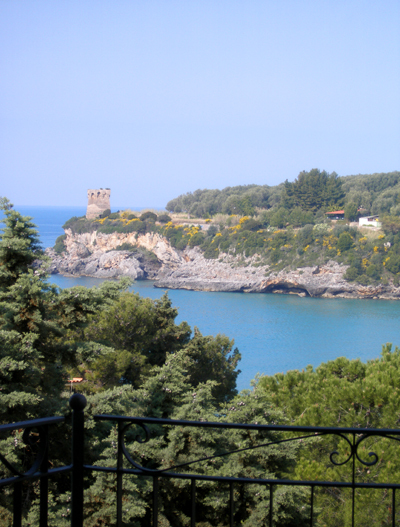 The nearest train stations are Pisciotta-Palinuro (ca. 19 km) and Centola (ca. 13 km). Pick-up from the stations and also from Naples or Salerno can be organized. The guests staying at holiday apartment Villa Rita can use the swimming pool of Villa Torre delle Viole und Villa Maricarmen, which are about 50 m off. 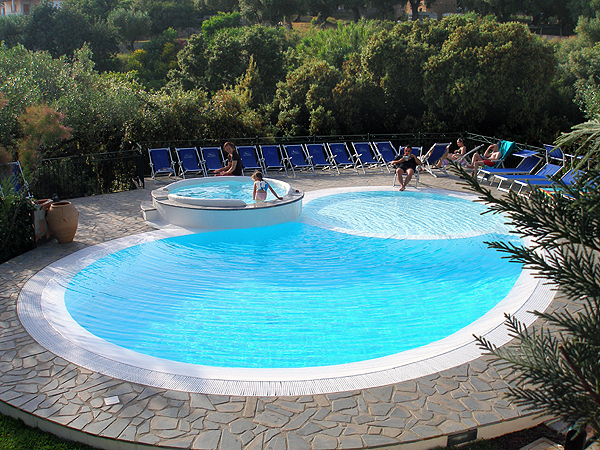 There is also a pool bar, so – just enjoy the dolce far niente. At the lovely Residence, which belongs to Family Greco as well, you can use the sauna and the fitness room. From sandy Calanca beach bay with its small offshore rock island Isola della Calanca, a beautiful walk runs along the coast, past the Saracen tower Fenosa (also called Torre delle Viole) and as far as the beach bay of Capo Grosso. Lovers of nature should not miss out on the maritime wildlife park of Infreschi between Marina di Camerota and Scario. 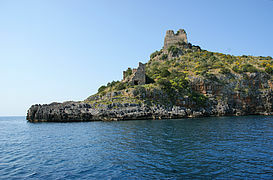 The landscape along the Infreschi coastline is unique and very popular not only with hikers, but also with snorkelers. 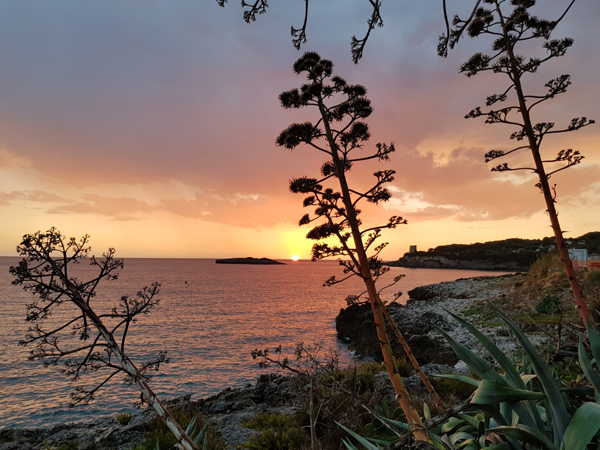 Be it bays with bright sandy beaches, high cliffs or grottos of intriguing forms and names – an excursion to the nearby protected area has a lot to offer. Should you prefer an excursion into the hinterland, you come across lush, untouched Mediterranean macchia, which is only every now and then traversed by livestock trails. A world of its own and completely different kinds of vegetation are found, for example, at and around Morigerati. 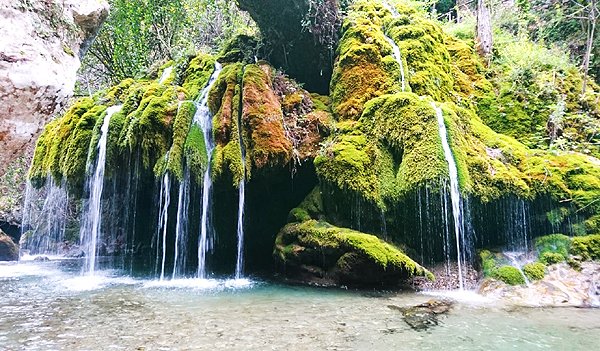 There you might go on a hiking tour through the WWF protected areas Grotte del Bussento or Le Casacate dei Capelli di Venere, marvelous waterfalls near Casaletto Spartano. Please note: Google Maps has by mistake not marked the road Villa Rita is located on as a cul-de-sac. The exact address and the information about the details of your journey are included in the booking confirmation. 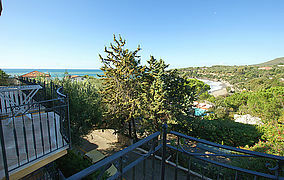 Villa Rita lies close to the beach and to the town center. From the balcony of the live-and-eat-in kitchen you have got a marvelous view of sandy Calanca beach. During your stay you may use the pool of neighboring Villa Torre delle Viole and Villa Maricarmen, 50 meters off. The 2 balconies on the 2nd floor belong to apt. Villa Rita. Glance into the bedroom with double bed, chest of drawers and wardrobe. 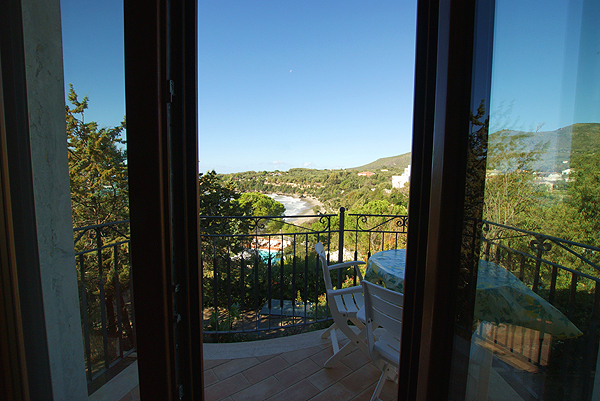 One of the two sea view balconies is accessible from the bedroom (in the picture to the left). Modern and cozy: the bedroom of Villa Rita. 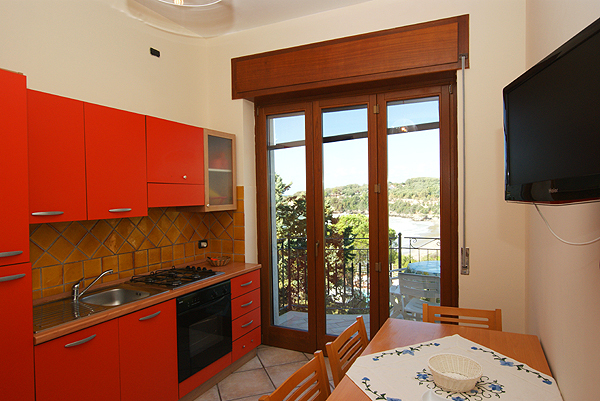 From the live-and-eat-in kitchen you have a view onto the beach and access of a small balcony furnished with a table and 4 chairs. 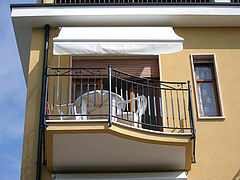 Awnings offer shade on both balconies of Villa Rita (here: balcony of the live-and-eat-in kitchen). View from the live-and-eat-in kitchen onto Calanca beach. The kitchenette in the live-and-eat-in kitchen, which is also furnished with sofa, TV and air conditioning. 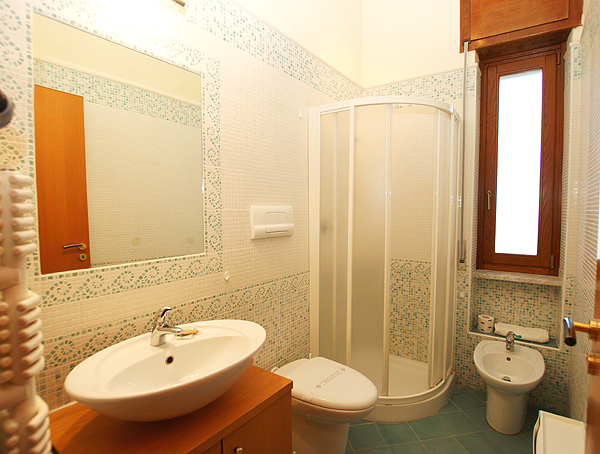 The bathroom with shower cabin, WC and bidet. 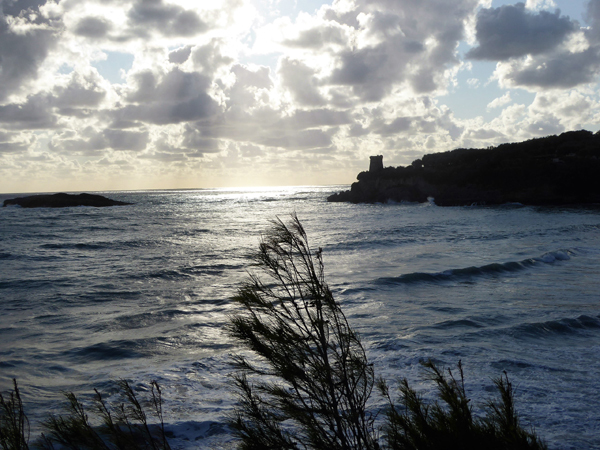 ...and of Isola della Calanca, the small rock island which is always within sight. 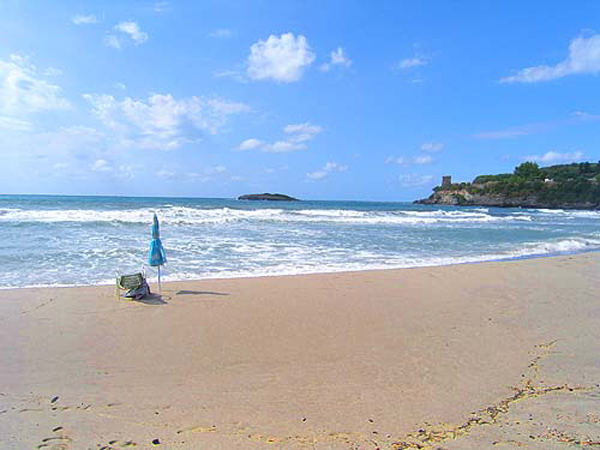 Bathing pleasure only a short walk off – wonderful sandy Calanca beach. Enjoy sunsets full of atmosphere right in front of your door at Calanca bay. 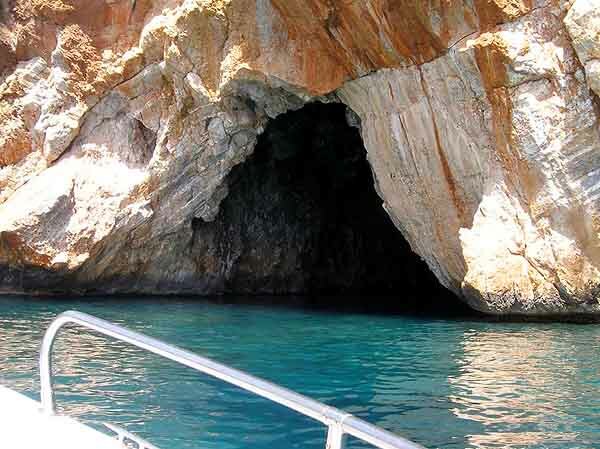 On your way to maritime wildlife park Infreschi by boat you pass large and small sea grottos. You also pass by Pozzallo bay. Finally you arrive at Baia Infreschi. When entering the natural harbor you pass by the ruins of a former Tonnara. 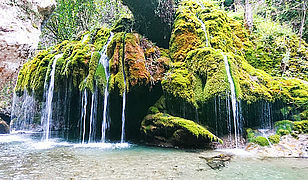 Untouched hinterland: the waterfalls Capelli di Venere near Casaletto Spartano. Die Urlaubsregion hat viel Schönes zu bieten. Erwähnenswert sind z.B. das klare Meer und die schönen Strände, die Wege entlang des Meeres und natürlich das gute Essen. An der Unterkunft fanden wir die Lage nahe Strand und Ort besonders toll sowie den Blick von den Balkonen und die hohen Räume. Unser Geheimtipp: Die Tavola Calda von Il Fornaio! Alles in allem jederzeit nochmal! Unsere Vorstellungen wurden erfüllt - besonders bezüglich der Landschaft, der reinen Luft und dem klaren Wasser. Die Ferienwohnung hat vor allem mit ihrer Lage überzeugt, hinsichtlich der Aussicht und der Nähe zum Strand und zum Ort. Ein schönes Erlebnis waren für uns die Bootsfahrten zu den Grotten in Marina di Camerota und in Palinuro. Uns hat es hier sehr gut gefallen, weil die Region in puncto Natur und Kultur all das hergibt, was unseren Wünschen entspricht. Jederzeit wieder! 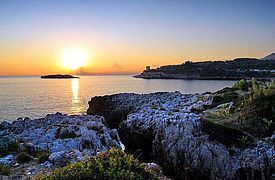 Die abwechslungsreiche Landschaft, das saubere Meer, die Freundlichkeit der Leute und das gute Essen – all das hat uns im Cilento sehr gefallen. Toll fanden wir auch die Freundlichkeit und Hilfsbereitschaft der Vermieter. Unsere Tipps für Ausflüge: eine Radtour auf den Monte Stella, eine Bergtour von Sanza auf dem historischen Pilgerweg auf den Monte Cervati und mit dem SUP von Marina di Camerota nach Infreschi. Berge, Meer, Radtouren vor der Haustüre – hier kann wirklich man einen abwechslungsreichen Urlaub verbringen. Wir kommen wieder! Die Ferienwohnung hat eine optimale Lage und bietet einen phantastischen Ausblick! Wir waren rundum zufrieden, es war ein wunderschöner Urlaub! Vor allem die Aussicht vom Balkon aus war grandios! Gerne wieder! A deposit of 100 Euro is due onsite upon arrival. - Parasols and sunbeds for Calanca beach can be rented from the owners.